First Aid Level One – Three is designed to provide the participant who has no medical training but wishes to rapidly progress through the various First Aid training levels in order to understand and handle Trauma and basic Medical Emergencies. This is the highest level before progressing into a Professional Qualification. 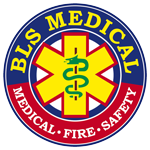 This course is ideal for team leaders of Emergency Response Teams (ERTs) or Medical Teams, First Responders (Firemen/ Police), Security Professionals (Armed Response/ CPOs), Life Guards, Teachers and Education professionals and/ or someone wanting to enter into the medical profession be it medical, paramedical, nursing, physiotherapy, etc. CLICK HERE to read more about the First Aid Level 1 - 3 Course.